Starting late next week, the Hamilton Island Instagram marketing campaign will kick into overdrive as the selected celebrity users, ambassadors and competition winners will head up to the island to start their pilgrimage. So who are these lucky Instagram users heading up to Hamilton Island? It will be exciting to follow all these accounts and watch their photos from 23 – 25 November when the Ultimate InstaMeet is happening at Hamilton Island. 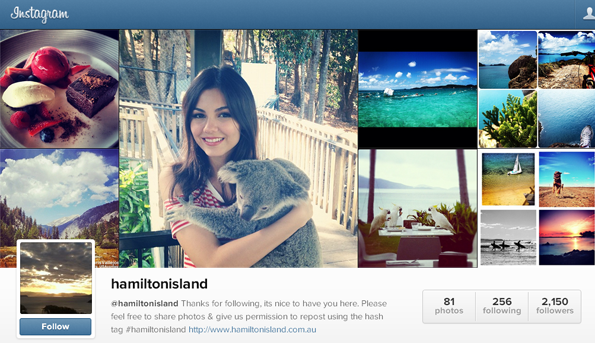 Make sure to also follow the official @HamiltonIsland account.